In today’s world there is a great cry for preservation of our natural resources. Left to his own devices and policing, man would absolutely eliminate many species from the face of the earth as he has done for millennia. In modern times, there are many species that once thrived who no longer exist. Of course these losses are not always the work of man alone. As with the great megafauna from the last ice age, changes in habitat from things beyond our control will cause great populations to disappear entirely while others decrease in numbers drastically. 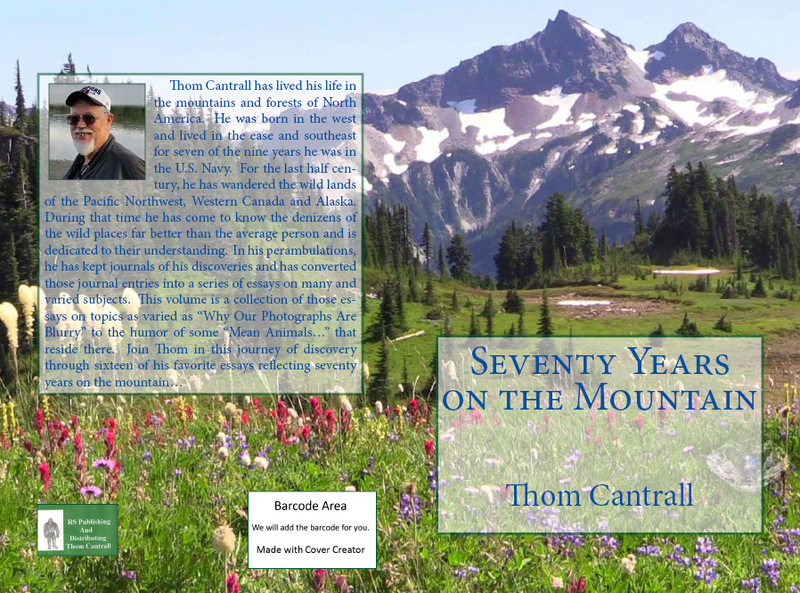 A prime example of this occurred with the demise of the great Wisconsinan Glaciers that capped our world in veils of white. When those glaciers where present, they created their own weather systems which nurtured a grand northern savannah that made all the lands adjacent to the mile thick sheets of ice a cold, barren, treeless land where great oceans of grasses grew in profusion fostering enormous herds of giants. 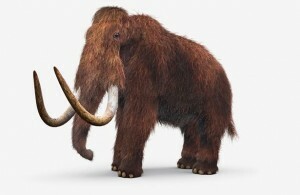 Among these were mammoths and mastodons, musk oxen and the massively antlered megaceros as well as the wooly rhinos and steppe horses. Of course, the predators who pursued these animals were themselves quite large and very ferocious. It had to be most frightening to the early men who shared these lands to encounter the great cave lions and the saber toothed tigers that dwelled here. pounds of this feed daily. When the glaciers began their northerly retreat about fifteen thousand years ago (without benefit of a single example of a “carbon footprint”) those great fields of hay began to disappear. 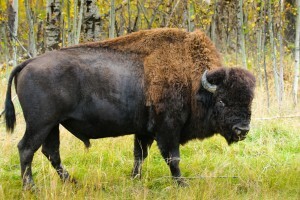 Woody shrubs and larger trees began to replace the grasses as the growth of choice, thereby depriving the megafauna of the source of their sustenance and they disappeared. I know there are those that blame this demise on the human hunter, and I have no doubts that they did predate on the diminishing herds, perhaps even killing the last of them, but they were not the cause of the extinction. 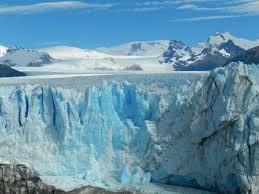 That was attributable to the loss of the great glaciers. This is a very good example of natural selection. Those with the tools to survive do so while those who lack in one area or another pass on into history. This happens in the plant world as well as in the animal kingdom. As natural conditions change, the flora that thrives there changes with it. We discussed that briefly in relating how the biome that supported the megafauna disappeared and changed to a more tree dominated biome when the weather conditions changed with the global warming that occurred about fifteen thousand years ago. It should be noted here as well that this global warming eventuated without the presence of a single SUV, coal fired power plant or Algore. 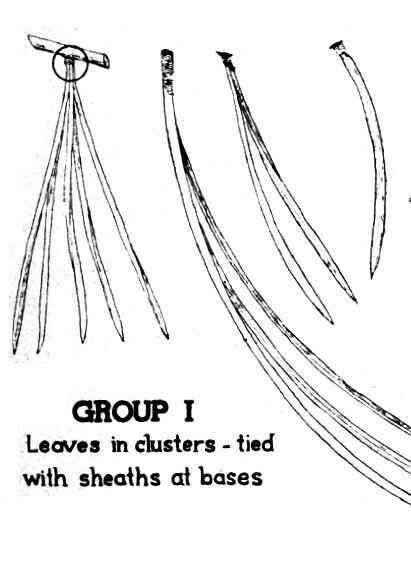 fewer needles per follicle. 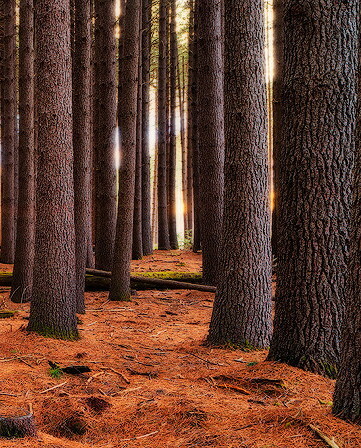 The digger pine is more ancient than the lodgepole which is more ancient than the ponderosa which, in turn is older than the modern pines like sugar pine, and the bonsai pine. It is unique that the oldest tree on earth, the bristlecone pine, is one of the most modern of the species. An example of a giant who is being replaced in the overall scheme of things is the Sequoiadendron giganteum… the inland redwood tree. 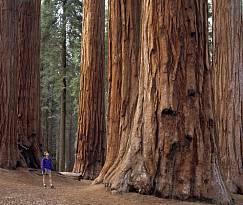 These are truly an ancient tree and they are being replaced naturally in their biome. Their seeds are slow to germinate, sometimes taking as much as eight years just to germinate. It is a rare seed that survive for eight years in an area rife with seed eating fauna. These trees are not shade tolerant; hence they don’t replace themselves well at all. such even though there are direct descendants still living on earth. 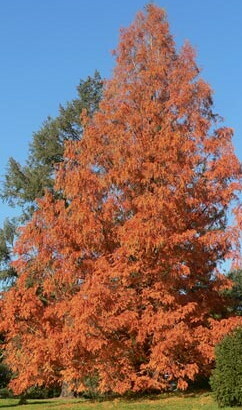 Another is the dawn redwood, the deciduous conifer once thought to be totally extinct until a remnant population was found deep in the forests of China in 1925. There are others that extend into the sedges that preceded the grasses that arose some two hundred thousand years ago. There have been many animals to be hunted to extinction in our history. Anciently, the Giant Moa from New Zealand survived only two hundred years after the arrival of the Maori People. 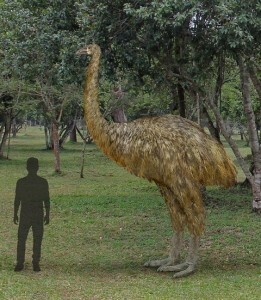 They were just too easy to hunt as they were flightless and really had no defense against the superior brain of man. in Europe in the seventeenth century, but survived in the new world until the middle of the nineteenth century. Again, they were just too easy to kill. It is interesting that this is the first bird to be called a penguin and its Latin name is Pinguinus, however, it is not in any way related to penguins. 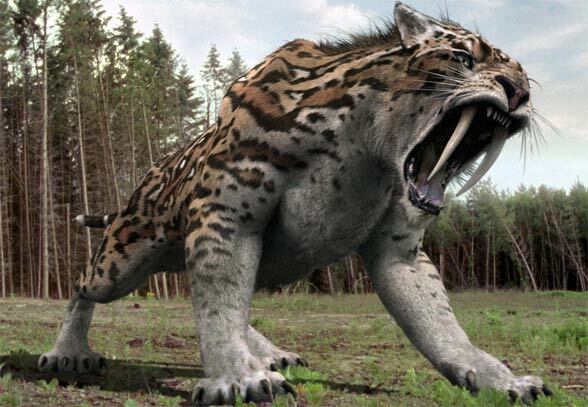 hinterlands reported these unique and beautiful creatures to be rare and not easily approached. 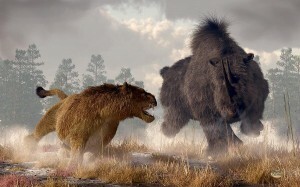 Unfortunately, while they were very difficult to take with Paleolithic weapons, limiting the harvest possible by the Indians, the firearms of the early longhunters were extremely lethal to the huge, shaggy beasts. Consequently, the harvest increased… soon exceeding the level that could be sustained by the scattered herds and by 1800, extinction of this beautiful creature was assured. some people saw the populations beginning to decline, legislation was introduced in the upper Midwest to protect these beautiful birds. This attempt was rejected quite soundly because it was reasoned that the poplulations were so high that the possibility of decimating them was beyond the realm consideration… there were just far too many of them to even contemplate that outcome. Unfortunately, within twenty years of this attempt to restrict the wholesale slaughter they were not to be found anywhere in their natural range. By the early twentieth century, they disappeared from the list of living creatures… they were gone… extinct. the first European settlers in numbers that ran into the billions. 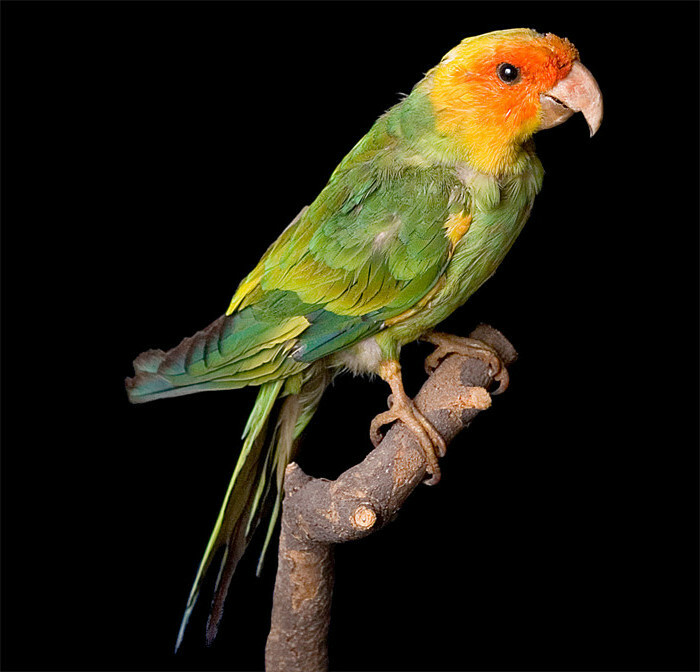 This small, brightly colored bird was a voracious seed eater and when the early farmers began cutting their grains, etc, these flying appetites descended on the sheaves in huge numbers, devouring entire fields of grain before moving on to the next area of harvest. It is said that when the birds descended, the stacks of grain appeared to be mounds of brightly colored feathers in constant motion. As the population in the farming areas became more and more dense, a war began against the bright parakeets. The feathered bandits were the victims of massacres by the thousands… Where the skies had literally been darkened by the flights of brightly colored avians, it was soon that their numbers began to diminish… and collapse. 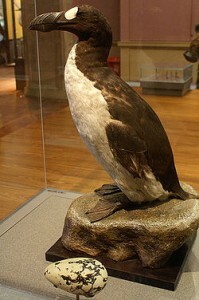 Ultimately, by the end of the nineteenth century they were rarely seen in the wild and early into the twentieth century, they were gone forever… not because they were needed for food, mainly, but because they were pests who interfered with man’s life cycle. Lest one think these might be isolated cases, market hunting, the killing of wild game for domestic food markets, was making major inroads on native game populations. 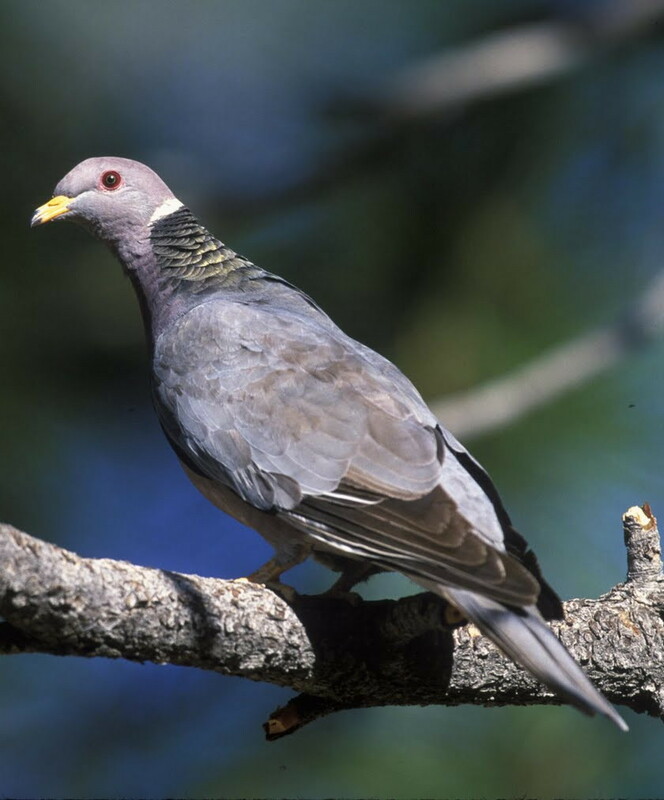 By the end of the nineteenth century, most game species were disappearing in the United States due to overhunting. There were no laws protecting the wild animals except in a few park type settings. 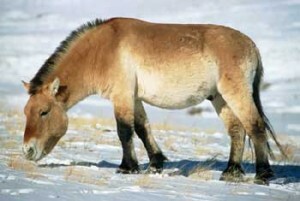 The American elk was reduced to few thousand animals and totally extinct east of the Mississippi River. The whitetail deer was rarely seen anywhere in the east. 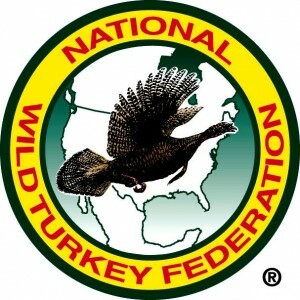 Wild turkeys, the very same creature Benjamin Franklin suggested as our national symbol, were reduced to a few birds here and there as population pressures forced them to the edge of extinction. preserves… not for meat, as in most cases, but simply for their hides. Entire cities sprung up on the prairies and there are tales of shooters sitting in one spot and killing more than a hundred animals without stopping. The skinners were then called in to remove the valuable hide while the rest of the beautiful animals were left to rot on the open plains. The Yellowstone elk were gone from wide areas of their range. 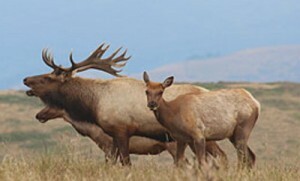 The Tule elk of California was no longer seen nor were the giant elk of Arizona. Pronghorns were eliminated from much of their range including the entire state of Washington. On and on the purge continued until alarm began to spread on a wide scale. It was sportsmen who began the hue and cry. Some dedicated men began to lobby for restrictions on the wholesale slaughter. In the end, in our country, the massacre ended. These sportsmen got laws enacted to end market hunting. They got the practice of using cannons loaded with pounds of birdshot to destroy entire flights of ducks with one shot ended. These men taxed themselves to fund the preservation of the remnants species. For some, it was too late and they left our world forever but for others, preserves were established. A system of waterfowl refuges was established to give the beleaguered migratory birds a safe haven to recuperate and recover. These people got the “Pittman-Robertson Act” passed through congress to tax the sale of all hunting related items with that money earmarked for the furthering of this effort. The first thing funded was a well-trained law enforcement brigade to ensure the newly passed laws were effective. Seasons were established with bag limits after a moratorium on all hunting for a time. 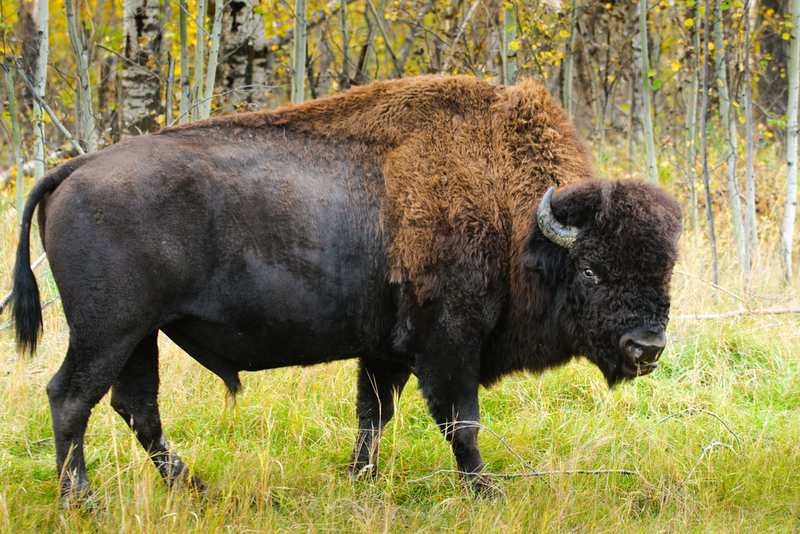 Licenses and, in some cases, tags were now needed to hunt game animals. This money was earmarked for ONLY the preservation of game species. That is still true today, although every state has tried to incorporate this extra money into their general fund budget with the “promise” that they would then adequately fund the wildlife effort. Fortunately, these efforts have not held sway and this money is still used exclusively for the management of game animals as it was intended nearly a hundred years ago. In addition, organizations of like-minded sportsmen began to emerge. The Rocky Mountain Elk Foundation… The North American Whitetail Foundation… The National Mule Deer Foundation… The National Wild Turkey Foundation… Ducks Unlimited… and many, many more. These groups provided not only money to the effort, but much needed labor to effect projects to help their focus group recover and thrive. Today, there are more whitetail deer in North America than were here to greet the first Europeans. 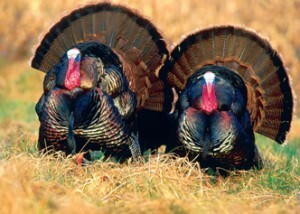 Wild turkeys are found from coast to coast now. My own state of Washington has large and stable populations of three of the four major subspecies found in North America. The Merriam species lives in the northeastern portion of the state while the Rio Grande is well established in the arid southeast area and the Eastern turkey is found in profusion west of the crest of the Cascade Mountains. There are hopes of attaining a breeding population of Osceola turkeys from Florida with a plan to propagate them on the Olympic Peninsula. Poaching is still a problem, especially in the southeast and the far west but seasons and bag limits are adjusted regularly to respond to population pressures. Major universities provide degrees in fields pertaining to the welfare of all wildlife game species. Even non-game species are finding financial support from such things as personalized license plates for automobiles. While this is not of the scope provided by Pittman-Robertson funds, it does help greatly. I think it profound that the public has so little understanding of this facet of our country. I was privy recently to a conversation that illustrates this well. I suppose people with a larcenous heart would not understand that there are people who can and do police themselves. There are people who understand the need for husbandry and restrictions to ensure the health of the populations they hunt. There are people who hold the welfare of their quarry high in their minds and do so with a deep and abiding respect for these animals. I worry about those who do not understand this concept. 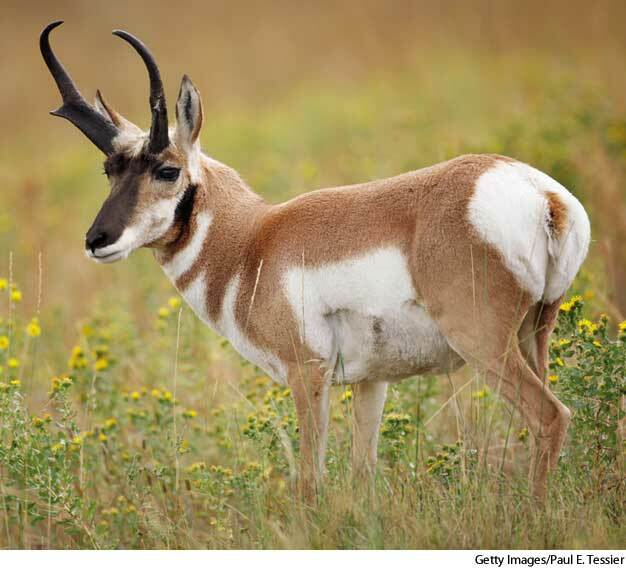 Today, in North America, wildlife populations are stabilized and in excellent shape. Man has, for the most part, replaced the wolf and cougar as the major predator and serves to keep the populations in check for there is nothing worse for a species than overpopulation. Starvation and disease is rampant when the numbers grow out of control. Contrary to popular belief, it is not only the weak who perish in these times. The entire herd suffers due to the effects of malnutrition and a single disease can spread through a herd so rapidly that the entire population can be wiped out. It is essential that populations be kept in check in all species, prey and predator alike. 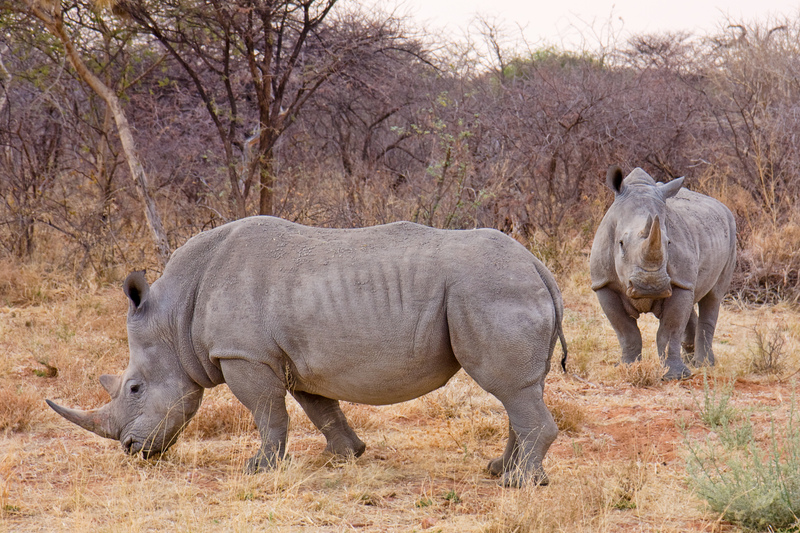 rhinoceroses are disappearing. It is not due to hunting but to poaching. 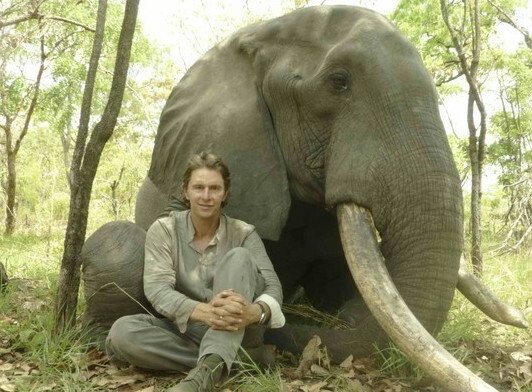 There is a huge Asian market for ivory and they don’t care a thing about legalities. 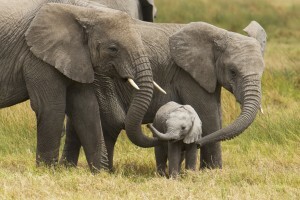 They just want the ivory. In countries such as Kenya, the problem is very acute simply because there is no hunting of the creatures allowed. The people who live on the land have no vested interest in the great creatures and, indeed, the only contact they normally have is when the animal is destroying his crops, his home or even his family. He has no value to that person in any positive way, so if he has the opportunity to make some money off him and get him out of his own hair, why would he wait? After all, there is no money for law enforcement so there are no game wardens to enforce any laws that might protect them… and they are rapidly disappearing… headed surely to extinction. 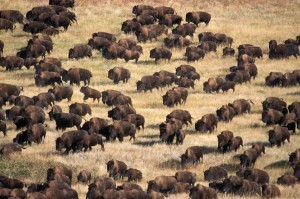 These people have a vested interested in the welfare of their herds so they PROTECT them, not poach them. Just like the Pittman-Robertson money, a portion of it goes to research as well making sure that the future in these jurisdictions is bright for the great beasts. In Kenya, where hunting does not exist, the creatures are being poached out of existence. In Botswana, Rhodesia and other countries in that region, they have a surplus of the large mammals. The evidence is compelling. that will enhance their place in it. Because a huge market for drugs exists in North America there is someone willing to take the chances to fill it… so it is with the sharks, tuna and other great fishes of the oceans all the way to the whale. It makes no difference what the world’s governments say if there is no way to enforce it. 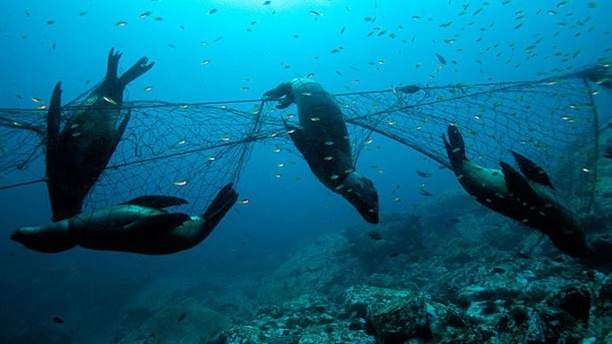 The European Union has emphatically banned the use of drift nets but still the practice goes on virtually unabated as marine mammals are decimated in the netter’s efforts. Asian fishermen have so badly depleted the stocks of the great tunas that it is not known now if they could even recover from where they now are. Ton upon ton of the great sharks are harvested to satisfy a demand for sharkfin soup. The rest of the animal is summarily discarded and only the fin is kept. How long until this destroys the population beyond recovery? Recently I was watching an episode of a food show that was set in the Netherlands of Europe. They were discussing the eel fishery in a pair of lakes there. They were lamenting the fact that there were, at one time, many families who made their living from fishing the eels found there. Today, there is but one family remaining. The eels were no more… they were gone. 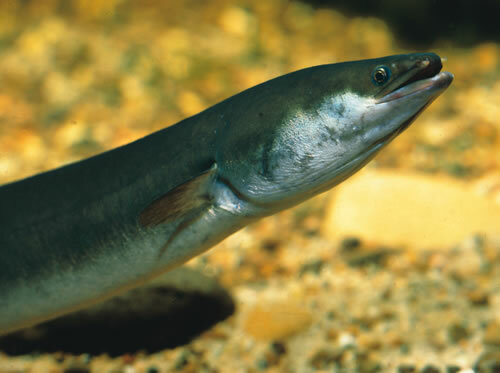 There was, it seems, a new and valuable facet to the eel fisheries that has arisen in recent years… he popularity of glass eels in the cuisine of parts of southern Europe and Asia. 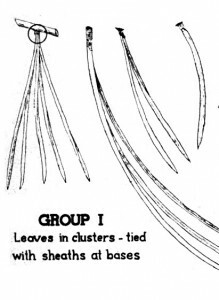 These tiny elvers are born in the Sargasso Sea where all eels from both Europe and eastern North America go to breed and die. determined that the eel grew into adulthood from earthworms that were formed from mud of the lakesides. Millennia later, the idea of them being made of mud had pretty much passed into the realm of the fairy tale along with much else of what Aristotle taught as natural fact, but there was still virtually nothing known of how and where they did breed. 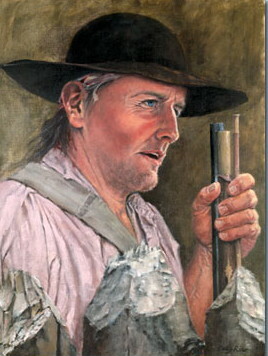 It’s only been in relatively recent times that man has learned that eels from the west of Europe and the east of North America migrate to the center of the Atlantic Ocean to come together in the great Sargasso Sea to breed and bring forth the next generation of eel after which the immature elvers then decide if they are western or eastern and return to the waters of their parents. When they are immature, they are quite transparent, making them highly prized by the great chefs of Europe and Asia. strange pre-elver beings, the prices started to skyrocket with Asian buyers eventually paying as much as $5,000 to $6,000 a kilogram or about $2,500 per pound, the pressure to over fish rose and as the supplies dwindled even further an the price soared to over $40,000 per pound, the Asian fleets began attacking them on the high seas at their birthing point. What does it matter what we as a nation does to protect species if the rest of the world will not cooperate? Who is there to insure compliance with laws and regulations? Without a world-wide organization with some teeth to it, nothing with a value on the high seas will survive the onslaught of these totally unscrupulous entities. I understand it is not their fault that a market exists… the same as with the drug markets, if there were not drug users, there would be no drug cartels. I have not noticed anyone smuggling skunk urine into the United States from Mexico… because there is no market for skunk urine! If there were no market for these things, they would not be a problem, would they? As long as there are people willing to spend a lot of money for anything, someone will provide it. It’s simply how commerce works. illegally attained ivory not only steal from the animals, destroying them, they steal from the legitimate providers of this commodity. Those who cheat to supply a voracious market with the tiny transparent forms of young eels to the destruction of an entire species… even those who are destroying the capital predators because there are Asian markets who will pay fantastic prices for them have got to be stopped. They are the ones destroying this planet even more surely than those who mine mineral and fluid under strict controls. Harvesting renewable resources is a good thing. To make a profit from which people make livable wages is a good thing. Carefully managing populations of wild things to keep them under control is an exceedingly good thing. Monopolizing resources by illegal harvesting for any reason or harvesting more than the population can sustain is a TERRIBLE thing and must be ended. Purchase your signed copy TODAY!! !